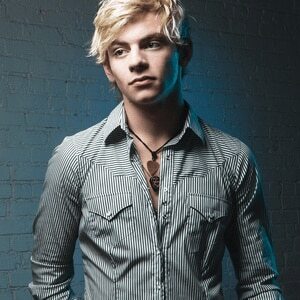 Ross Shor Lynch (born Dec 29, 1995) is an American actor and musician. He currently stars in the Disney Channel series Austin & Ally as Austin Moon, an aspiring rock star. Lynch is also in a band with his three siblings and best friend Ellington Ratliff called R5, one of the siblings, Riker Lynch who has a minor role on the FOX series "Glee". He was raised in Littleton, Colorado.